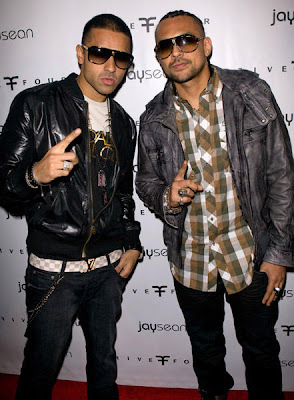 THE club-bumping Do You Remember by British pop sensation Jay Sean and Jamaican dancehall star, Sean Paul, will be featured on the 75th edition of the compilation series, Now That's What I Call Music. Do You Remember found instant Billboard success as it debuted in the top ten of its Hot 100 chart, and was a favourite of iTunes users all over the world, staying in the top ten of those charts as well. Born at the MTV Video Music Awards, the collaboration also features rap/hip-hop crunk king Lil' Jon. Also featured on Now 75 are other chart-topping artistes such as Lady Gaga, Katy Perry, Black Eyed Peas, Iyaz, Justin Bieber, Rihanna, Owl City and Alicia Keys. Having returned to Jamaica after concert appearances in Miami last weekend, Sean Paul said that he was overjoyed that the track would be featured on the iconic compilation. "When we did the collaboration, I sensed the energy. You know anywhere there is real good music and real good artistes, everything just alright. The track and the video turned out well, and it was fun putting a yardie flavour on the song. And the ladies dem love it! It's an all-round good song," the Grammy-winning artiste said. So far, more than 30-million people have checked out the official video of the song on YouTube, and some 11-million people have given Do You Remember a listening ear on Jay Sean's MySpace page. Sean Paul released his fourth studio album in late 2009, Imperial Blaze, which nabbed a Grammy nomination, became the first dancehall album to top the Billboard Rap/Hip-Hop charts, and made Sean Paul the first Jamaican and dancehall artiste to do so. The album also charted well on other Billboard Charts, debuted at number one in Japan, was certified gold in France, and dominated charts in Europe and the middle east.